Here is the new Motorola Moto Z Play LCD & Touch Screen Assembly in Black. If you’ve recently cracked your display screen and it’s slowly but surely not responding to touch anymore, this replacement would be the best bet for you before it could get worse. Your screen is more prone to having “dead spots” where the capacitive touch feature doesn’t work half the time or even at all. 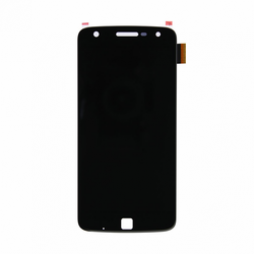 To ensure your phone doesn’t get any worse with the condition it’s in now, purchase this screen assembly today and solve any discoloration and damages with the replacement display (1080 x 1920 pixels, 403 ppi). Get all you need at once by purchasing the 16 piece precision tool kit to help ease your repair!